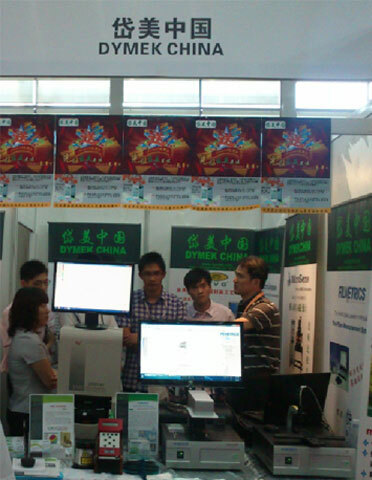 China – Sept. 2011 - Dymek recorded over 100 purchase orders for Filmetrics Thin-Film Measurement System in 2009 – 2011. Thanks to the joint efforts of Dymek Sales, Marketing & Service colleagues, & most important, the support from Filmetrics, we exhibited several Filmetrics Demo equipments in several exhibitions in the past few years, & recently, CIOE in Shenzhen, this is the first time of Filmetrics new model "PARTS" exhibited after launch, & we need to thank for Jack&apos;s training & support along the days (Senior Application Engineer of Filmetrics Taiwan). With all this, Dymek has successfully widened the user bases to different sectors namely semi-conductor, LED, flat panel display, solar energy, optical communications industries, universities and R&D institutes, etc. Dymek exhibited in CIOE 2011, we showed several demo systems, including Filmetrics F50 & PARTS. Filmetrics was founded in 1995, it is the World Sales Leader in Affordable Thin-Film Thickness Measurement Systems, over 3000 systems have been installed globally. R&D Magazine: 100 Award recognizing the Filmetrics F30 product. 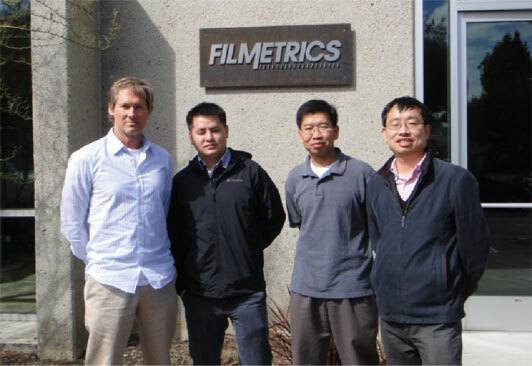 R&D Magazine: 100 Award recognizing Filmetrics&apos; Thickness Imaging Technology. Photonics Spectra:"25 Best New Products" recognizing the Filmetrics F20.